Here is where we will be out and about at Shows, Talks and Workshops in the year ahead. The talks are booked by specific groups but you don't need to be a member to attend, as visitors are always welcome for a small contribution. Please contact us by phone or email if you would like to book us or if you need any more details. A description of all the talks we offer are here. 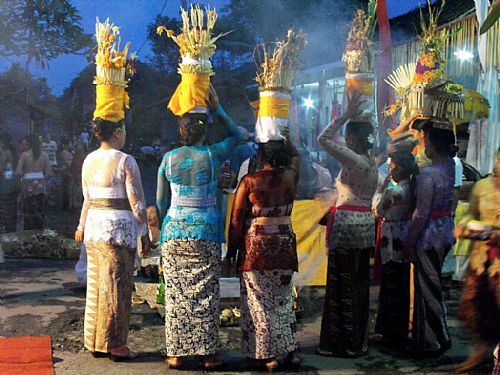 A great festival which we always enjoy come rain or shine! Lovely stalls, friendly organisers, lots of demonstrations and handmade stuff made by real people much of which you won't find anywhere else. Oh, and great food stalls too. 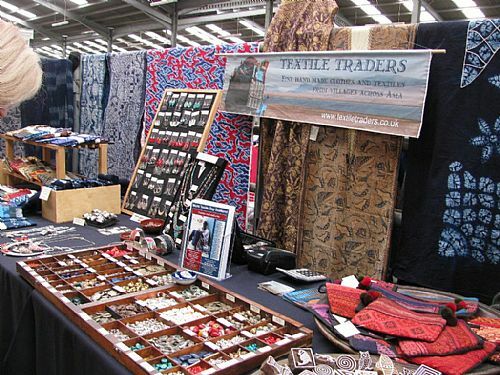 If you haven't been to a Wonderwool yet, come along and find out why people who love textiles (not just wool and sheep!) come back year after year to this Show. We will be in our usual spot. 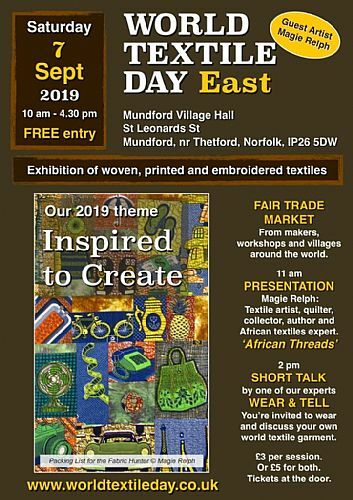 Our theme for 2019 is "Inspired To Create" and we will be having a series of guest artists at World Textile Days with us. All of our guest artists have been inspired to creativity by their travels and their contacts with textiles and textile makers from around the world. In Hampshire we have Janice Gunner, an award winning textile artist, author and teacher who specialises in indigo, shibori and quilt making. Janice has taken tours to study shibori in Japan. We'll have a short 30 minute talk in the afternoon (details on the day!) and a session of "Wear and Tell" - your chance to wear something interesting from somewhere around the world and tell us about it! Tea, coffee and cakes available at the venue. Good free parking at the Wickham Centre and delicious lunches available in nearby Wickham village. 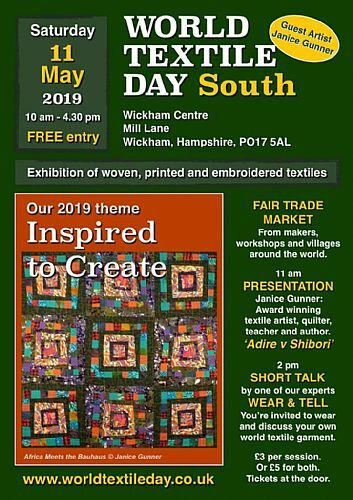 Come and join us at Wickham again. We had a break last year but we are very pleased to back at this lovely big venue. All of our guest artists have been inspired to creativity by their travels and their contacts with textiles and textile makers from around the world. 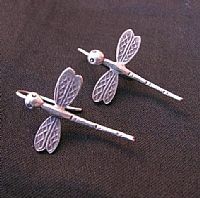 In Oxfordshire, we have Heather Koumi, a batik artist from Rugby. 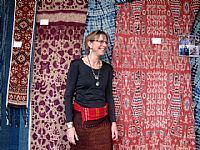 Heather has been working with batik for many years and was a founder member of The Batik Guild 30 years ago. 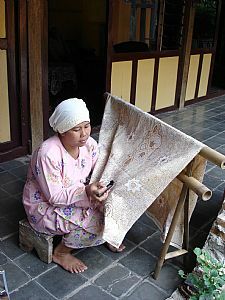 In 2013 she travelled to the heartland of batik, Java to work alongside batik artists there and this is the story of the influence this trip had on her work. Tea, coffee, sandwiches and cakes available at the venue. Good free or cheap parking and delicious lunches available nearby. 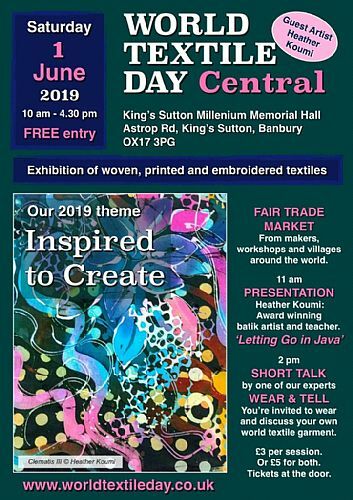 Come and join us and meet up with textile-loving friends at this central venue. 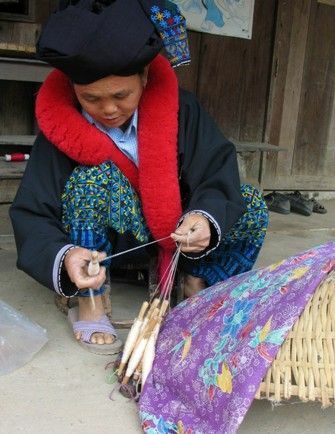 Costume plays a vital role in showing identity and kinship in the hilltribe and minority people of south east Asia. The “Golden Triangle” where three countries - Thailand, Laos and Burma, meet is so called because of the fortunes made from opium. 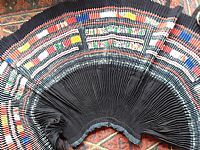 But there is still great wealth to be found in the wonderful textiles of the hilltribes who live in this remote and mountainous area. 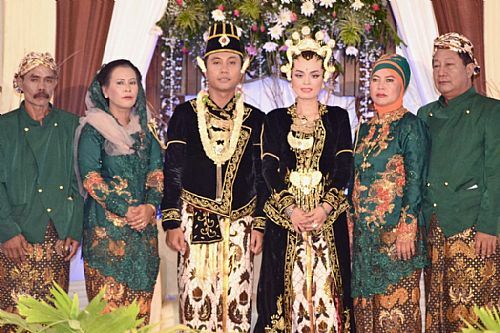 The traditional clothes the women make for their families are a riot of colour with stunning embroidery, embellishment and weaving techniques. 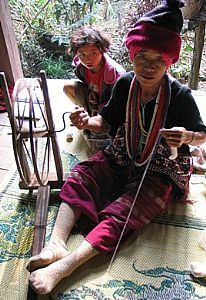 You will be full of admiration for this wonderful work done by hard-working women in remote and difficult surroundings. All of our guest artists have been inspired to creativity by their travels and their contacts with textiles and textile makers from around the world. 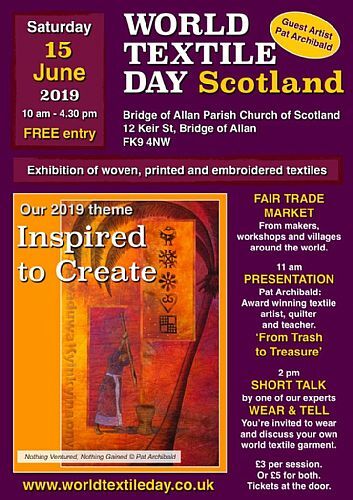 In Scotland our guest artist is Pat Archibald an award winning textile artist, teacher and quilter who will be talking about how her travels in Africa have inspired her work. Tea, coffee and home baking available at the venue. Good free or cheap parking is available near the Hall and delicious lunches are available nearby in the lovely town of Bridge of Allan. Our customers come from all over Scotland every year to join us at this event and we try our best to make it an enjoyable and interesting day. Mitchell's Lakeland Livestock Centre, Cockermouth, Cumbria CA13 0QQ. We're back at this wonderful Summer Show in the heart of Cumbria! Every two years the Guild of Weavers, Spinners and Dyers puts on a week long Summerschool of wonderful courses for its members. They get booked up very quickly! Very often we get invited to their end of week marketplace when friends and Guild members and members of the public are invited to visit and look at the amazing work which has been achieved. We are looking forward to another visit with an appropriate stock - this time to York. All of our guest artists have been inspired to creativity by their travels and their contacts with textiles and textile makers from around the world. 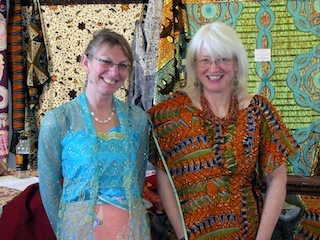 In Norfolk our guest artist is our very own Magie Relph, textile artist, teacher and quilter who will be talking about how her years of travel in Africa have inspired her own work. Plenty of free parking and delicious lunches available nearby. Come and join us at our very popular Show in Norfolk. All of our guest artists have been inspired to creativity by their travels and their contacts with textiles and textile makers from around the world. 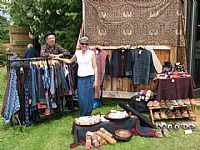 In Cheshire, we have Janice Gunner, an award winning textile artist, author and teacher who specialises in indigo, shibori and quilt making. 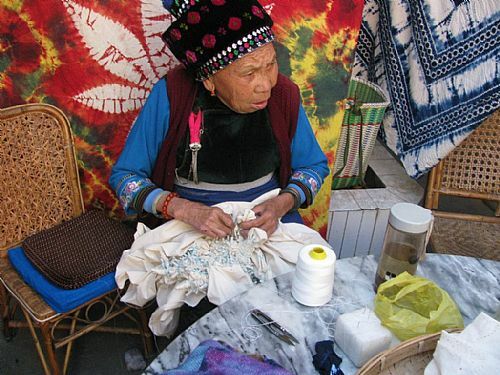 Janice has taken tours to study shibori in Japan. Good free parking at the Community Centre and delicious lunches available in nearby Frodsham. 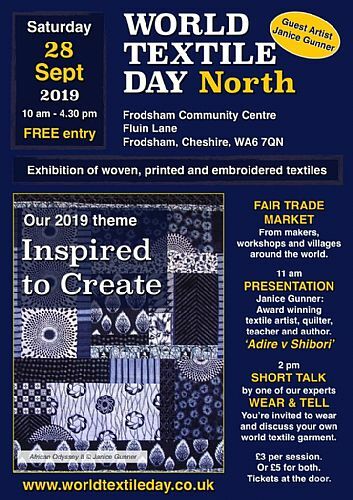 Come and join us at Frodsham again, and meet up with textile loving friends from around the area. All of our guest artists have been inspired to creativity by their travels and their contacts with textiles and textile makers from around the world. 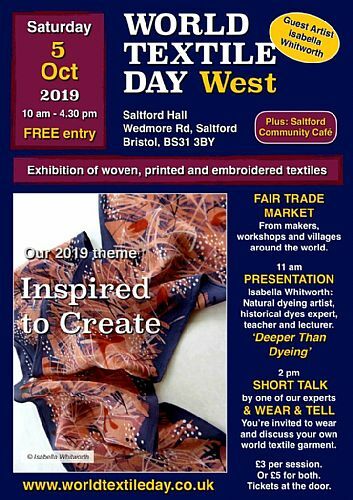 In Bristol our guest artist is Isabella Whitworth an award winning textile artist, teacher and expert in natural dyes who will be talking about how her travels in serach of beautiful natural dyed textiles have inspired her work. Free parking at Saltford Hall. Delicious food will be available, served up by the Saltford Community Association.